An insanely all-electric super fast sports sedan. “Ludicrous” accurately describes Tesla’s newest all-electric super sedan. 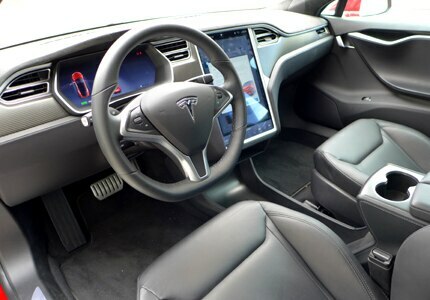 With a claimed 0 to 60 sprint of 2.8 seconds and a combined 762 horsepower from its front and rear motors, the Tesla Model S P90D with Ludicrous mode is the only car that can make a groundbreaking autonomous driving feature into an afterthought (a $2,500 option). Elon Musk’s latest high-performance EV definitely wears its futurism on its sleeve. Slightly lower and more aerodynamic than an ordinary Tesla Model S, the P90D comes with the highest-capacity battery pack yet it’s fitted to a passenger car. 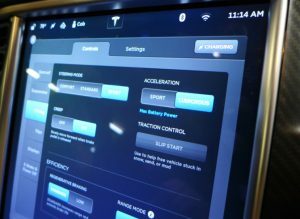 The “Ludicrous” update adds a special fuse with its own built-in battery and contacts made of a “space-age” super alloy Tesla calls “inconel.” This allows the flow rate to go up from 1300 amps to 1500 amps, necessary to get all those kilowatts to the car’s massive traction motors. What that enables is perhaps the best four-wheel burnout ever to be accomplished using the scientific principles of Michael Faraday. Magazines have reported sub 11-second quarter mile times from this 4700-lb electron guzzler. About that guzzling: Range estimates for the P90D do tend to be optimistic, especially given our tendency to mash the “go” pedal. Count on about 200 miles per charge, though the EPA rates the Model S at 89 mpg-e city/ 93 mpg-e highway.You can use just about every electrical engineering pun to describe the Tesla Model S P90D Ludicrous’ acceleration (a $10,000 upgrade). At 1.1 G of accelerative force, it equals everything made by McLaren, AMG and Lamborghini. Only a handful of supercars are definitively quicker off the line. The P90D seats five adults and it handles pretty well thanks to great weight distribution and a low center of gravity. Our fire red with black interior and carbon fiber decor tester looked very sleek with the black wheels option and red brake calipers. Accelerations were lightening fast and our concern was not to get in trouble with the law. Made in America, the most “amped up,” “high-voltage” “electrifying” thrill ride on the market can be yours for a shade over $130,000. A lot of money, sure, but you could easily spend just as much on a run-of-the-mill S-Class. And while the Model S is certainly not the fastest vehicle that Elon Musk makes, as that honor goes to SpaceX’s Falcon-9 rocket, the purchase of a Tesla at least gives you the ideological bonus of supporting the American space industry as well as a less fossil fuel-dependent automotive future. 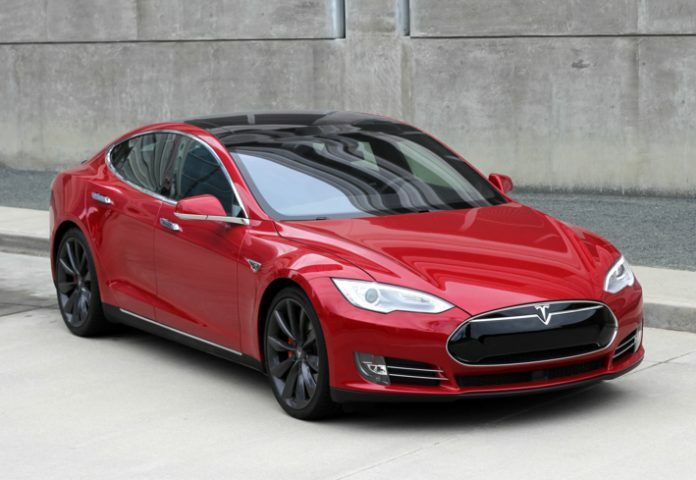 In any case, our hats off to Tesla for producing such a vehicle … and we know it’s going to get better and better in time especially with range, giving petrol cars something to think about. So whether it’s picking up the kids from soccer practice or going grocery shopping, you’ll have a smile on your face knowing you have all that power and utility over the standard McLaren parked next to you.